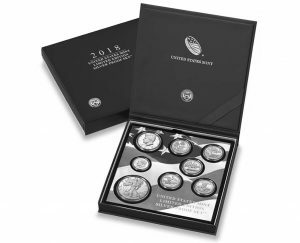 United States Mint flagship products, namely the 2018 Proof Set, the 2018 Silver Proof Set, and the 2018 Mint Set, have notched solid numbers in the last month. When they haven’t led in overall sales they’ve still been in the hunt. 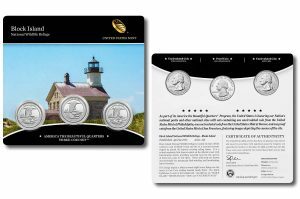 One United States Mint product launched last week, a three-coin set of Block Island National Wildlife Refuge quarters, and it was the Mint’s best weekly seller. 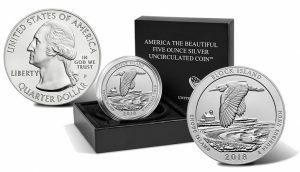 United States Mint annual sets and American Silver Eagles worked their way into the top sales spots after falling back a week earlier to newly released Block Island quarter and coin products. 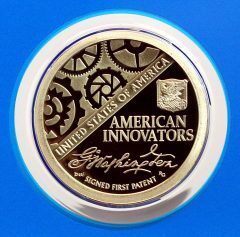 The United States Mint released Tuesday its first collector products in nearly four weeks. 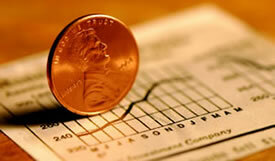 They’ll lead in next week’s sales report. 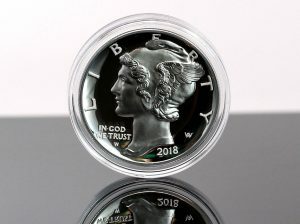 Orders have been reconciled and the 2018-W $25 Proof American Palladium Eagle is officially gone. 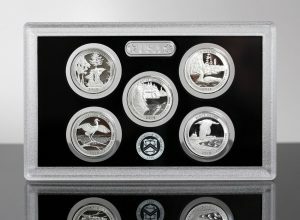 The U.S. Mint tagged the coin’s product page with "Sold Out." 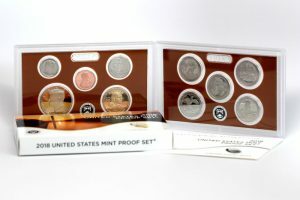 One United States Mint product launched last week, the limited-edition proof set with 8 silver coins for $144.95. 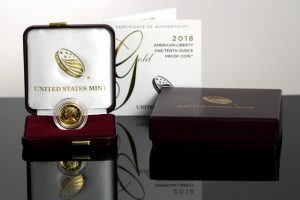 The collectible was the agency’s top weekly seller with about half of the allotted 50,000 sold. 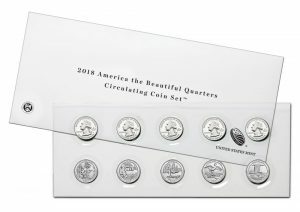 The U.S. Mint’s newest product for collectors, a set of 10 circulating quarters with five from Denver and five from Philadelphia for $8.95, was its strongest weekly seller.